Aussie brands including Airtasker, REA Group, Hipages, Seek, EnergyAustralia, Qantas and NAB have been quick to launch their own ‘skills’ for Amazon’s voice assistant, Alexa, following news that local customers can officially buy the retail giant’s Echo voice-based interaction speakers from February. Amazon confirmed today that its voice-based interaction platform has been localised for the Australian and New Zealand accent with a new voice local skills and local knowledge. Content services include news bulletin and weather information, access local knowledge, following favourite sports teams, read ebooks, play music, set timers and alarms, check calendars and create shopping lists. Customers can pre-order three devices now - Amazon Echo, Amazon Dot and Echo Plus – with shipping beginning in early February. The launch will absolutely heat up Australia’s voice-based interaction market, coming just a couple of months after rival, Google, officially launched its Google Home in the local market. Local services marketplace, Airtasker, joined a handful of Australian brands launching skills for Alexa today, and said users can use their voice to post and allocate tasks such as cleaning or gardening. To do this, members first link their account to Alexa via the Skill Store. The key phrase is then ‘Alexa, ask Airtasker to find me a cleaner’. Airtasker co-founder and CEO, Tim Fung, said the name of the game is making the voice-based platform more accessible to users. “We’re also really excited about the prospect of the new Airtasker skill on Alex enabling people with a physical disability to use Airtasker – helping to broaden the community and creating a more inclusive and diverse platform,” he said. Rival tradesman marketplace, hipages, also claimed to be one of the first transactional skill-based services to integrate with Amazon Alexa in Australia. Using the hipages ‘skill’, a user can tell Alexa what kind of tradie is required, where the work is to be carried out, and potentially add a phone number. Hipages then connects the user with the local tradesman to complete the job. “When the change arose for us to integrate hipages to Amazon Alexa, our engineering and product teams started work to ensure our collaboration would come to rapid fruition from a technical perspective,” hipages CEO and co-founder, David Vitek, said. For REA Group chief inventor, Nigel Dalton, launching the real estate site’s first step into voice-based interaction will give people a fresh way to consume property-related news. It’s also the group’s first step into artificial intelligence. Using the REA skill, consumers can access curated content from more than 1200 articles published monthly on the realestate.com.au website by 45 journalists across the country. According to Dalton, Alexa could one day be consulted as if she’s “just another family member at the dinner table – in the same way forward-thinking companies are starting to add AI company directors”. “Chances are in five years’ time, she could be the smartest ‘person’ in the room,” he added. Amazon also confirmed Qantas, NAB and Westpac had launched localised skills for Alexa, checking travel details and loyalty points, or account balances, respectively. NAB executive general manager of digital and innovation, Jonathan Davey, said its customers can also check savings, credit card and home loan balances. On the entertainment front, Village Entertainment announced its own Alexa skill, developed in partnership with Versa, that allows a user to ask about movie times and location. “We’re constantly working to develop concepts and initiatives that will be helpful to our customers, and we rely heavily on data to inform all such initiatives,” Village GM of marketing and sales, Mohit Bhargava, said. “Cinema session time information is the number one search query serviced via all our customer-facing channels, amounting to millions of customer contacts each month. Domino's not surprisingly, has an Alexa skill too for ordering pizza. “Customers can also check the status of their Domino’s order by simply asking Alexa how their order is progressing,” said the pizza maker’s chief technology and digital officer, Michael Gillespie. Those looking for a new job, meanwhile, will be able to ask Alexa to find them new employment thanks to the new Seek voice-based skill. 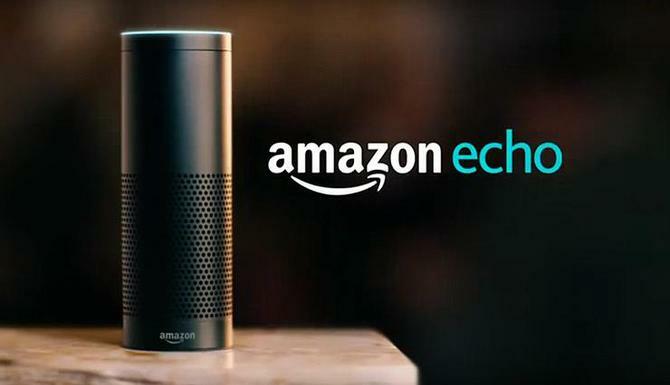 Seek company reviews, job skills and weekly employment market updates will become available through Amazon voice-based devices locally from February. The key term for users will be ‘Alexa, find me a job’. “This is a continuation of the commitment we have to investing in technology solutions that will connect Australians to the most up-to-date employment market and job information, to enable them to make informed career decisions,” Seek managing director A/NZ, Michael Ilczynski, said. EnergyAustralia was one of the energy utilities providers to jump on the Alexa bandwagon locally, and announced a skill for customers to check and manage their electricity and gas accounts. “The three things people want most from their energy provider are a fair deal, a hassle-free experience and control,” said EnergyAustralia NextGen executive, Andrew Perry. “The EnergyAustralia skill for Alexa gives people easy access to every aspect of their energy account. Initially, customers can stay across the status of their bill and when it’s due with a simple voice comment. Likewise, AGL said customers could check bill information using Alexa once it launching locally. In addition, the company is offering Amazon retail discounts to those who register for AGL online services in tandem with the new skills launch. Telecoms customers didn’t miss out either, with mobile virtual network operator, amaysim, announcing its own skill for Alexa to help consumers ‘find their mobile phones’ by triggering a call. Users will also be able to check their mobile balance and top up data services. The skill was developed in partnership with tech services provider, DiUS.